What happened to Tiffany Hall during the 112-mile bike leg of her first Ironman-length triathlon brought the Anchorage woman to tears. A broken pedal had ended her race. She climbed off her bicycle, sank to the ground and began to sob. 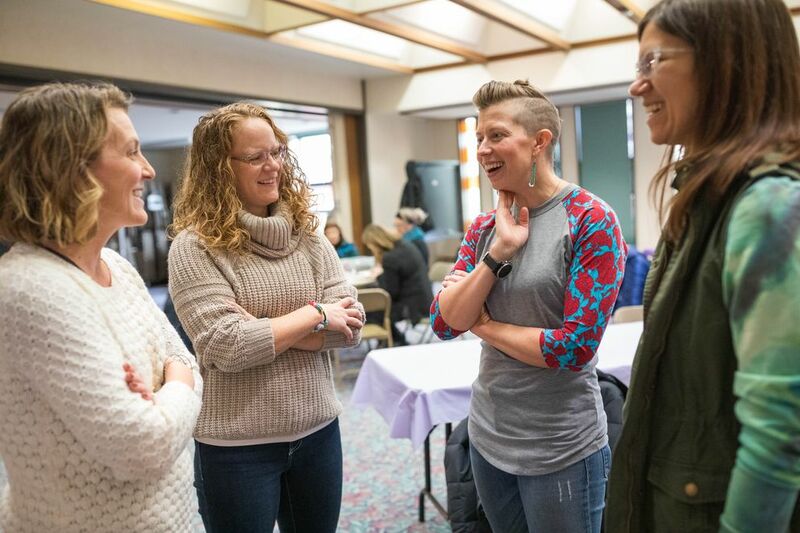 What happened in the days after Hall's Oct. 20 triathlon brought scores of people around the world to tears as they read how Hall's race was salvaged by a stranger's unflinching generosity. The stranger, whose own race ended after a wrong turn put her on the wrong course, offered Hall the use of her $2,600 Fuji bike. An incredulous Hall accepted the offer and rode the borrowed bike nearly 100 miles and finished the race. The stranger is now a friend. Annette Snedaker of Winter Park, Florida, is in Anchorage this weekend visiting Hall, who used some of her airline miles to make the trip happen. The two first met — briefly but profoundly — at the Great Floridian Endurance Festival in Clermont, Florida. Hall, the executive director of Recover Alaska, was doing the Ironman-length race – a 2.4-mile swim, 112-mile bike and 26.2-mile run. 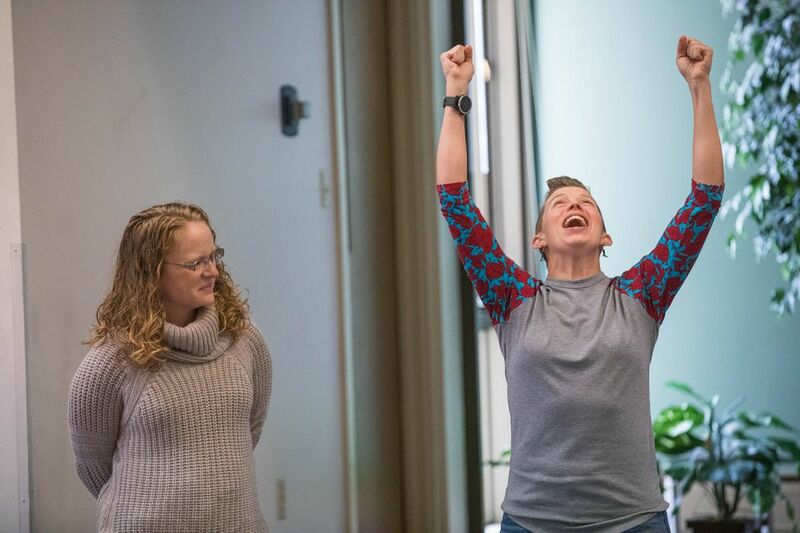 Snedaker, who had just quit her job at First United Methodist Church in Winter Park, was doing the sprint triathlon — a 400-meter swim, 7.5-mile bike and 3.1-mile run. Their paths crossed when Snedaker, 37, somehow veered off the sprint course and onto the distance course. Things had been going great until then. A veteran of multiple triathlons, Snedaker had had a good swim and felt like she was flying on her bike. She was on track for a personal best for the bike leg, if not the entire triathlon. Snedaker considered completing the first loop of the longer course anyway, but she knew that would add too much time to her race. Her husband, Barrett, was also competing, and family members were waiting at the finish line. Snedaker didn't want them to worry, so she stopped at an aid station and dropped out of the race. 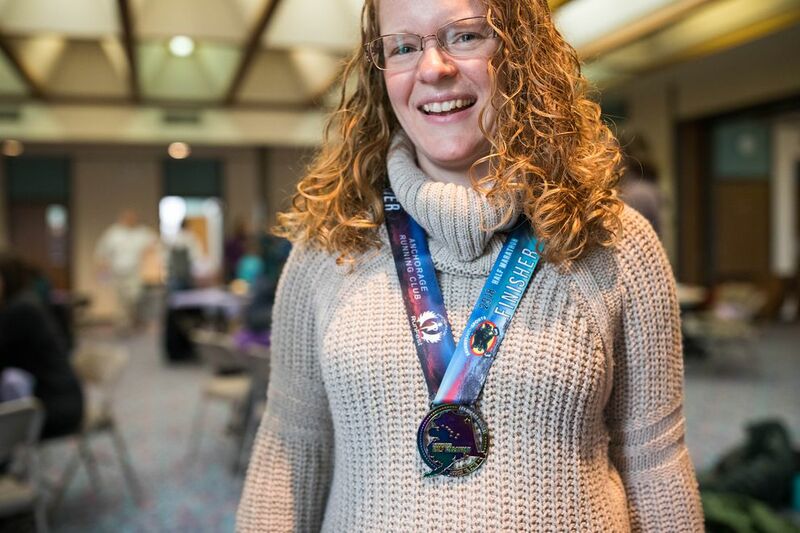 "I was really frustrated to miss my opportunity to have my fastest leg of a sprint triathlon," she said. "But I had resigned from my job three days before and I was out there for a different reason that day. Triathlons are just part of who I am. I go out there because they're me. They are always there for me. "So when I got off track I was incredibly disappointed, but at the same time I thought, 'There'll be another one, and today's not your race.' So I started helping at the aid station, cleaning up trash, because when it's not your day, it's not your day, and you can find another situation to make your day not so bad." Meanwhile, Hall's race was falling apart, and so was she. In the previous six months, Hall, 37, had turned herself into a workout fanatic. She trained six days a week. She became a morning person. Her social engagements were largely limited to bike rides, runs and trips to pools and lakes. An army of friends and relatives supported her, some by lending her wetsuits, some by becoming runners so they could help her train. "Everyone I know just stepped up," Hall said. "The feeling that I would have to face them and tell them I failed …"
And then there was her family. Sixteen members of Hall's family were at the triathlon that day to celebrate brother Jeff's 40th birthday. An Anchorage firefighter and paramedic, Jeff's wish was to do an Ironman-length triathlon, and siblings Tiffany and Aaron agreed to do one with him. Five other members of the family— dad John, sister Lisa, sisters-in-law Emily and Meagan and a nephew — did the sprint triathlon. Hall's mom, Jane, signed up to race but broke her arm the week before. Jeff Hall encountered trouble early in the bike when he blew a tire. Aaron, who was behind him, stopped to help. A little later so did Tiffany. "He went through three tubes while I was standing there," she said, and it looked like the tire would doom Jeff's race. Aaron offered his bike, but Jeff refused. "My bike is too small for him, so I just went ahead, and he said, 'You have to finish for me,' " Hall said. "Three or four miles later, my pedal broke." With no right pedal, she made it another two miles to the next aid station. No mechanic was available. Hall tried to fix the pedal herself and biked about a mile before realizing only a new pedal would get her back in the game. "I turned around and went back," she said. "I saw my entire training collapsing around me. I went over and sat on the grass and started crying and crying." Her spirits lifted when she saw Jeff ride by, his tire finally repaired, but the solace was temporary. "I was just bawling," she said. Watching all of this was Snedaker. "She dropped down on the ground and her head went down between her knees and I thought maybe she was sick," Snedaker said. "I went over and asked, 'Are you OK?' That's when a race official told me her bike was busted and she couldn't finish. "I don't recall even thinking twice about it. My first immediate thought was that it would be really silly for me to be standing here with a bike that (she) could ride. It made sense to me." So she asked the still-sobbing Hall: How tall are you? Close enough — Snedaker's a size 7. "And I'm like, 'What??? Seriously? You know you're not gonna get this bike back for a solid nine hours?' "
Snedaker understood. "If I can't finish my race today," she told Hall, "then go finish yours." The women hastily traded contact information and shoes — Hall was wearing clips for mountain bike shoes, which didn't fit Snedaker's bike. And then Hall was off. "How do I work these pedals?" she yelled as she rode away. For nearly 100 miles Hall pedaled with shoes that were too small, sat on an unfamiliar saddle that left her numb and strained to grip handlebars farther away than her own. She endured the discomfort with pure joy, singing songs along the way. After she completed the 112 miles, her dad took the borrowed carbon-fiber Fuji and made the 40-minute trip to Snedaker's home in Winter Park. He was back before Hall finished the marathon. She finished in just less than 18 hours, and both of her brothers finished, too. If the story ended here, it would be a sweet tale about trust and generosity, about someone who chose to act not just observe, about someone who persevered when given new hope. The next day, though, the story began to spread. 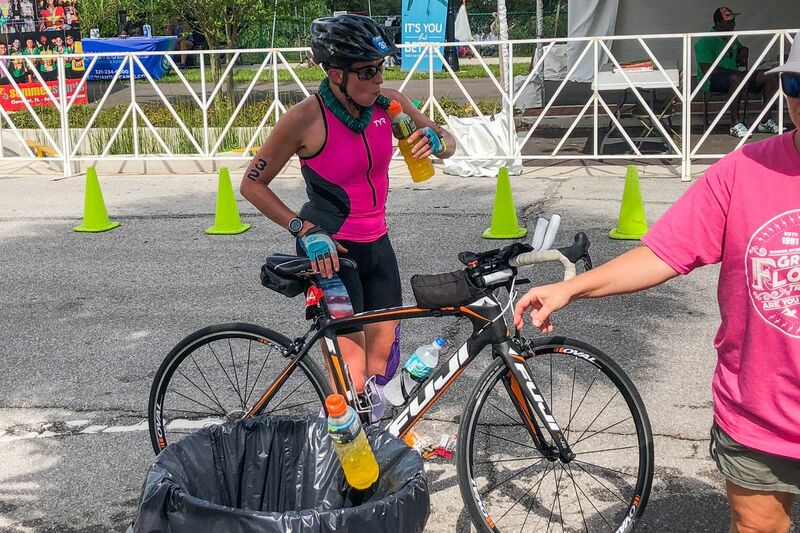 Snedaker wrote a lengthy post for her blog — "The Race I Didn't Finish" — and shared it on a couple of triathlon websites. By the next morning, it had attracted 10,000 views — this for a blog that had never before had more than 3,000 views for a single post. By the middle of this week, more than 25,000 people in 13 countries had read it, Snedaker said. Many left comments on Snedaker's blog and Hall's Facebook page about the power of kindness and the miracle of serendipity. Many said it brought them to tears. Some are campaigning to get Hall and Snedaker on "The Ellen Show." "My mom read it out loud and she started crying," Hall said. "For me, it's emotional to read just because it's my story, those are my emotions. When everyone else had the same reaction, I was kind of surprised. "I think it speaks to how much people are craving positivity right now. In this election season and in general, with all the terrible things going on in the world and the extra hate we're seeing, it's really nice to have something positive to cling to." Snedaker, the woman who gave the shoes off her feet and an expensive bike to a stranger, has similar thoughts. "There's so much political drama in the world right now," she said. "People are scared, and they're scared that there isn't enough kindness, and we need to remind each other that we are the kindness. Don't leave it up to someone else. Decide right now to do something precious. "Don't you think as a country we're craving this? Whether it's a bike or a mitten, whatever it is, be kind and share it."